Yesterday was three years since I started cycling. In that time I've ridden a total distance of 13,662 miles. I've lost 8 stone in weight and become a new person both physically and mentally. In the past year I found myself hitting an invisible barrier, weight wise, that I couldn't get below. My weight went up and down a number of pounds but stayed fairly stable. I tried new methods of diet and exercise and had some success. I tried to focus less on the weight and more on the fat percentage. One thing I've learned over the last year is that as I'm getting used to how I look now, I'm also finding it hard to be comfortable with my new body image. I'll be honest and tell you that I was never comfortable before but now I have a new shape, I'm not totally happy either. There's always more I can do but it will take a lot longer to shape than it has up until now. I've posted a couple of before and after pictures. I was very anxious about posting these publicly but I think it needs to be done. I also went for an anniversary ride. I recreated the first ride I ever did on my mountain bike. Just 3 miles. I was a massive step for me 3 years ago. It's hard to believe those photos are the same person. 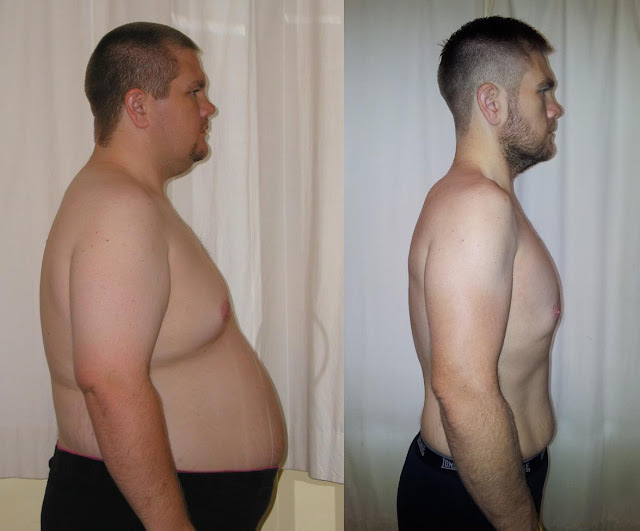 Congratulations on sticking to a plan and your amazing weight loss. I often run and cycle round Shinewater lake - great route! You've got to be proud of how far you've come. You just need to decide on where you want to go now, that's half the battle. I'm having a slow start to the year on the weight loss front, only 1kg so far, but I'm about to go up a gear or two. 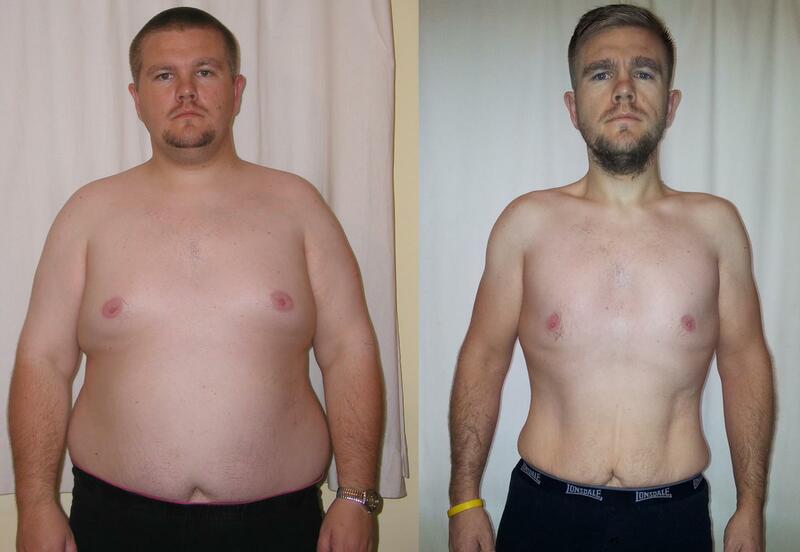 Awesome job Toby, its certainly a new lease on life. Awesome achievement, should be very proud of yourself. Don't become fixated by weight, you're a fit healthy human being that's going to be around for his kids now & in the future - enjoy it! That's a very impressive achievement. I cycle a lot - and you've cycled a little more than I have in the last three years. On the body image stuff, I wonder if it might be worth talking to a professional of some kind. I think it's something with which a lot of people struggle and you like, to judge by those pictures, absolutely fine now. A lot of people struggle with thinking about such big changes in their bodies. It's a genuinely big challenge for the brain to cope with it. But forgive me if I'm speaking out of turn. But you've done a remarkable job and really changed how you're living. That's a huge achievement. You have done amazingly well Sir. Stay strong and carry on striving for what I eventually hope we will both hit - complete happiness. It's an uphill ride, but think of the downhill at the end :). Thanks for all your kind and positive comments. It's been a tough journey at times and it's ongoing.